The success of Objective Zero Foundation, its people, and the mobile app we have designed, is a result of the overwhelming support we have received from our supporters in the military community, the tech community, and the non-profit sector. This award-winning technology has been made possible by the virtuous and selflessness of all of you. We are forever grateful. Sharing stories of the brands, developers and nonprofits utilizing our technology platform to invent a better future with location. Foursquare for Good is Foursquare’s first dedicated, data-focused philanthropy program aimed at making the world a better, smarter, safer, more inclusive place through the power of location technology. The program is an open call to developers and nonprofit organizations to submit proposals for how they would use Foursquare’s location technology, namely our Places API and Pilgrim SDK, to further a cause. The world’s biggest social problems, from healthcare to education to human rights, deserve the best technology solutions. Fast Forward invests in entrepreneurs who are using technology to accelerate social impact. Fast Forward’s investments span beyond philanthropic funding, through products and programs that bridge the tech and nonprofit sectors to build capacity for tech nonprofits. 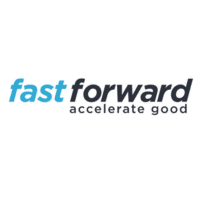 As the first and only organization focused exclusively on scaling organizations that combine the best tech with sustainable nonprofit business models, Fast Forward’s mission is to accelerate impact. Fast Company’s World Changing Ideas awards honor products, concepts, companies, policies, and designs that are pursuing innovation for the good of society and the planet. In 2018, the Objective Zero mobile app was selected as a finalist for Fast Company’s second-annual World Changing Ideas Award, which drew nearly 1,400 submissions in 12 categories. Only 240 entries made it to the final round of judging. The Edison Best New Product Awards™ is an annual competition honoring excellence in new product and service development, marketing, human-centered design, and innovation. In April of 2019, the Objective Zero mobile app was recognized by the Edison Awards as a Gold Award winner in the mental health digital resources category, ranked among the "best of the best" by 3000 of the world's top senior business executives, academics, and innovation professionals. In March of 2019, the Objective Zero mobile app was recognized with a Platinum Award as the ‘Best New Mobile App’. This award recognizes smartphone apps that have recently made a big impact. Everything is considered to determine the winner, including user interface, functionality, usefulness and overall quality. Number of public app votes, app functionality, creativity of the app idea, productivity of the app and how it serves its purpose, innovation, design, and originality are all considered when judging the ‘Best New Mobile App’ award. For the past 18 years, Service Members of the Year awards have selected one outstanding military member from each branch of service to recognize, salute and highlight the exemplary service of active duty personnel serving in each branch of the U.S. Armed Services. They are selected based on exemplary military service that goes beyond the call of duty, to include their community involvement and volunteer work. The winners are honored each year at an awards ceremony in Washington, D.C. that is attended by Congressional, military and community leaders. For enlisting tech to help veterans keep fighting. The 100 people you’ll read about on this list are all new for Fast Company–they’ve never been profiled before in the pages of our magazine. They hail from an eclectic range of fields: tech, media, healthcare, energy, travel, entertainment, space travel, biotech, finance, food, and more. Each has succeeded in moving his or her entire sector forward in a completely new way during the past year, and these accomplishments are already having an effect on their industries, if not the world. The 100 Most Creative People in Business list isn’t about power or lifetime achievement. It’s about unique ideas that are having a meaningful impact–right now–which makes it unlike any other list you’ll see in media. Together, these 100 groundbreakers indicate where business is headed. These inspiring leaders are shaping the future of business in creative ways.